Get iMyfone Data Recovery for iPhone for FREE! Have you ever experienced those upset times when you lost some important files like happy past photos and some deleted text in your iPhone or your iPhone screen was broken by accident? Have you ever lost data after accidental deletion, jailbreak or iOS upgrade failure? The world’s most user-friendly iMyfone Data Recovery for iPhone can help you deeply recover deleted photos, messages, contacts and various other files from iPhone, iPad and iPod touch. iMyfone Data Recovery for iPhone is the most easy-to–use software that you just need to follow the guide to click. Of course there are many kinds of Data Recovery for iPhone software, but seldom are truly good and reliable. When searching for recovery software, you must watch out and see if it runs deep scan so it can find all of your desired files. And iMyfone Data Recovery for iPhone can do this very well. Before deciding to write the review, we have tested few of them and realized the iMyfone Data Recovery for iPhone is probable the best because only with it we had 100% success. Just to inform you, we used various types of files and data, deleted them and then used various iPhone data recovery software to recover them. iMyfone Data Recovery for iPhone is very simple, fast and highly functional. 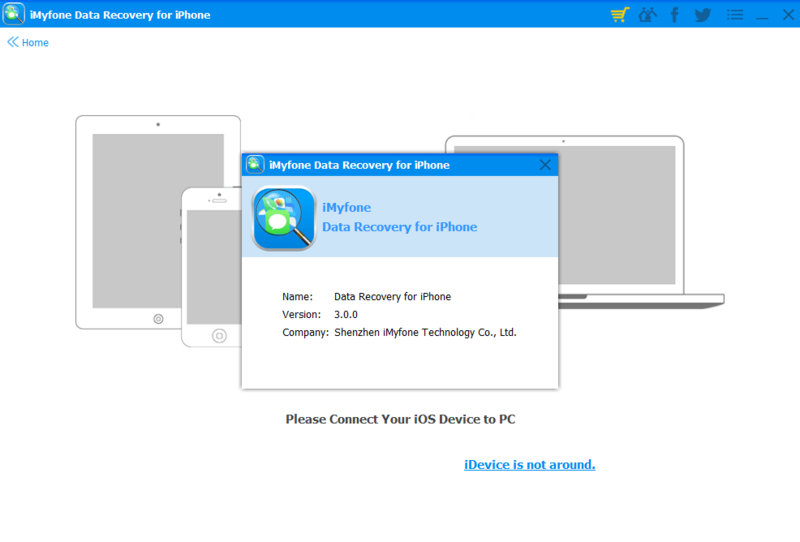 There is a free trial version (http://www.imyfone.com/iphone-data-recovery/) and all you need to do is to install iMyfone Data Recovery for iPhone. Then connect your iPhone to your computer. With the scan we found everything I deleted by trail and all of them is perfectly recovered. Another feature makes iMyfone Data Recovery for iPhone the best recovery software is that it offers preview of any file or data you want to recover. Get iMyfone Data Recovery for iPhone Beta for FREE! I had the highest rate of success to recover my iPhone data with this iPhone data recovery software. It just needs simple steps and quickly performs deep scan and it finds all deleted files. Importantly, it provides three plus one service to help you recover your data besides recovering from iPhone directly, iTunes and iCloud. And you can send your problem to the community and they will try their best to help you. Best iPhone Data Recovery software I have used. Recommend for all iPhone users. Note: This giveway will be available until until August 18th, 2015.